What Does The Best Bond Cleaning In Tarragindi Cover? Finding and selecting reliable house cleaning in Tarragindi is not easy. The most common questions we get asked by people like yourself have been collated below to assist you in making a smart decision. 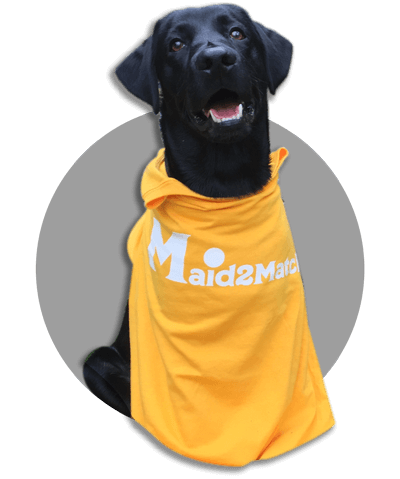 WHY ARE MAID2MATCH TARRAGINDI’S BEST AT VACATE CLEANING? The truth is great bond cleaners possess a different skill set than regular house cleaners and therefore requires specific experience, dedication, and a first-class cleaning checklist. At Maid2Match, we personally vet all our cleaners, after having them complete a three-part application form. We provide extensive support and have crafted the most effective bond cleaning checklist you’ll find. Don’t take any chances with your choice of bond cleaning service in Brisbane, contact us today. A few kilometres south of Brisbane CBD, Tarragindi is one of its most renowned suburbs, with plenty of memories from the Second World War. This suburb used to host the American Army’s field hospital that was later administered by the British and the Australian. Ekibin Hospital, set at the junction of Sexton Street and Toohey Road, doesn’t exist anymore, but you can go to Fingal Street to see the foundations of a gun emplacement there. If you want to pay a tribute to it, there’s the Ekibin Memorial Park on Cracknell Road. This suburb is mostly located in a valley, which gives it its wonderful landscape, with lots of ridges between Wellers Hill and Tarragindi Hill. There’s also Sandy Creek running through here, with its sources in the Toohey Forest. The inhabitants of Brisbane and tourists can enjoy the bushland around the area. As such, you can understand more about the local vegetation, as well as the ecological past, admiring a plethora of species that would have otherwise been endangered. The Toohey Forest Park in Tarragindi is one of these places, and you can always try the magnificent Sandstone Circuit. But there are other, more urban pleasures you can enjoy in this suburb. For instance, the Gestalt Art Experience features some interesting workshops.